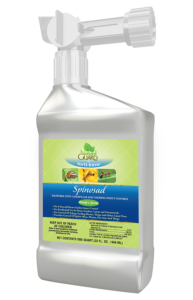 Ferti-Lome: Natural Guard Spinosad RTS | Warner Companies, Inc.
Warner’s Nursery is proud to feature Natural Guard Spinosad ready to spray insecticide. Natural Guard is a brand from the Ferti-lome family of products. It is also easy to use. Simply attach to your garden hose, turn on the water, spray the product evenly over the area you want to treat and you’re done! $32.99 for a 32oz ready-to-use spray bottle.